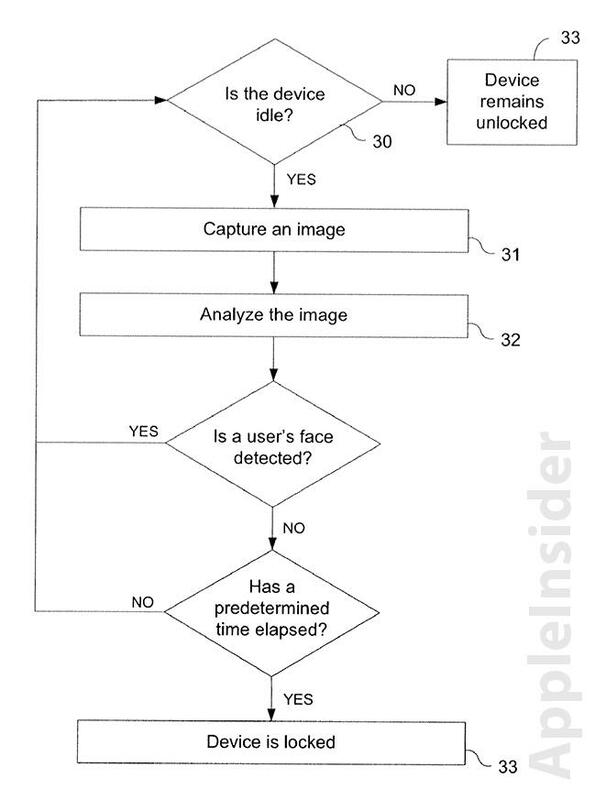 Apple's descriptively titled "Locking and unlocking a mobile device using facial recognition" patent application describes a mobile device that automatically captures and analyzes images of a user's face, or lack thereof, to lock and unlock itself. While some manufacturers have developed facial recognition technologies to unlock a mobile device, Apple's idea of automating the process to initiate both locking and unlocking an iPhone or iPod is somewhat unique. The application explains that while many devices have a lock mode, current technological limitations may prompt users to forego password usage because the process can be time consuming and cumbersome. For example, a user may turn off password protection because they frequently forget their passcode, or may be tired of having to re-enter said code each time the device locks. This can be especially aggravating when performing a relatively idle task like reading an e-book. 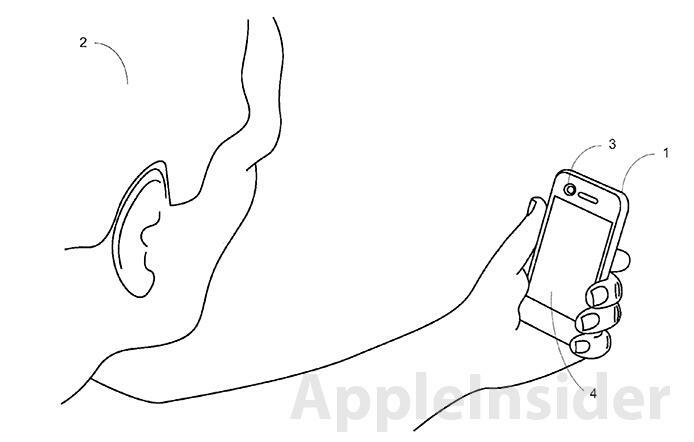 To solve the issue of having to lock or unlock a device manually, Apple proposes that a product can be configured to lock itself if the user's face is no longer present in images captured by the front-facing camera, and unlock itself when the user's face reappears. In order to automate the process, Apple relies on device triggers, such as motion, time thresholds and positioning. For instance, consider that the device is initially unlocked. In that state, a built-in camera captures one or more images, and the images are then analyzed to determine whether a user's face is present therein. If a user's face is not present in the images captured over a predetermined amount of time, the device automatically locks. Thus, the device is automatically locked when it determines that no user is currently using the device without having to wait for an idle timer to expire or a manual switch off by the user. Similarly, the device can be configured to automatically unlock itself when moved. If the unit's sensors, an accelerometer for example, detect movement, the camera captures an image and the device determines whether it has moved since being locked. A subsequent image is taken and if the user's face is detected, the unit is unlocked. Flowchart of facial recognition based on movement and position. The system differs from other facial recognition solutions as it doesn't require manual input from the user, as each step is automated. In other words, instead of simply replacing the password with face detection, Apple has created an integrated locking and unlocking solution that negates the need for direct human interaction. News of Apple's application comes a little over two weeks after Google was granted a patent for a similar invention, however that system relies on manually initiating the facial recognition process. Interestingly, Apple filed for its patent in March 2011, some six months before Google.